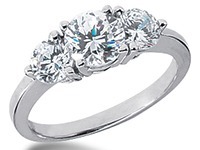 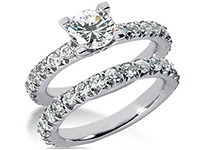 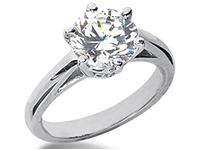 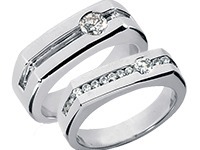 The remarkable beauty of two tone rings and the unique designs offered through Wedding Bands Wholesale are more than enough reason to consider these exquisite rings for you and your loved one. 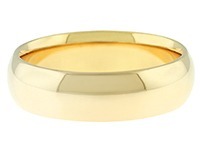 The two tone wedding bands combine the best of both worlds when it comes to white, yellow, and even rose or green gold. 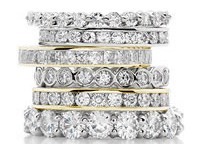 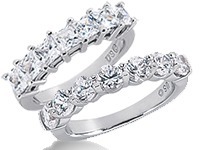 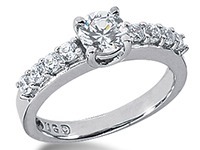 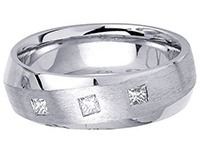 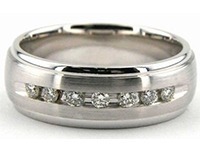 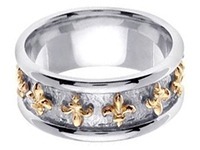 Our rings come in 14K and 18K gold and platinum, in a variety of colors, and the selection of two tone rings on the Wedding Bands Wholesale site can also be customized to fit your needs. 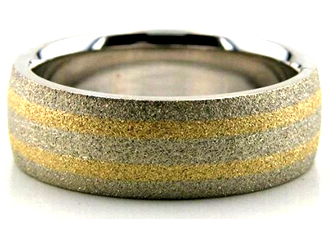 Two tone rings require great skill and expertise to create, and the process of designing and creating a two tone ring is both challenging and time consuming. 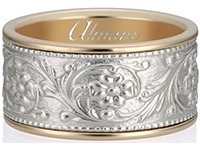 The beautiful masterpieces are made of several solid gold pieces rather than one uniform plated piece. 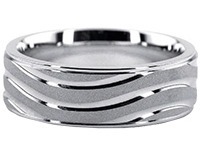 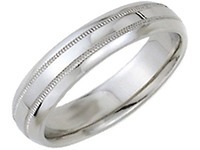 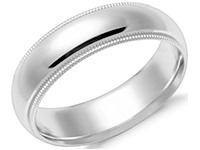 The craftsman must take the separate solid gold pieces and join them together seamlessly to create the overall look of a two tone wedding band. 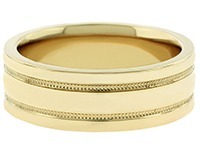 The natural gold luster and shine brings out absolute beauty and elegance of different gold colors, and when seen together, combining variations of gold colors creates a spectacular result, which forms the two tone wedding band. 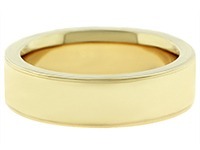 Different gold colors are created by mixing different alloys with the pure 24K yellow gold. 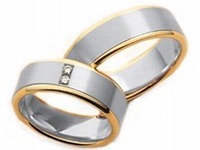 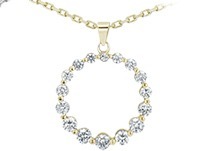 All gold jewelry is created by mixing pure 24K gold with a combination of various alloys. 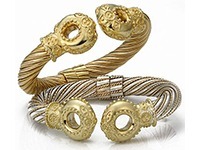 Pure gold is not strong enough to be used in jewelry since it is very soft and malleable when it is in its initial form. 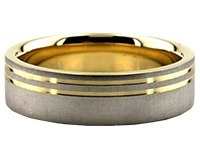 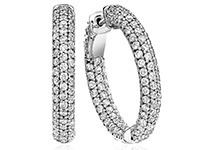 The alloys give gold the strength it needs to be molded into fine jewelry and worn in everyday life. 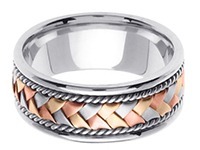 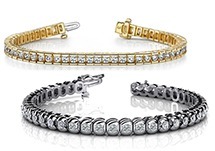 These alloys are most commonly silver and copper, and when mixed with 24K gold in different measurements, they create the beautiful gold colors that you see on the site.